According to the World Health Organisation*, approximately 7 million people die every year from exposure to polluted air. It is estimated that 32% of lung, brain and heart illnesses are due to pollution. With 92% of the world’s population living in polluted areas, the need for air quality solutions has become critically important. How do you protect your clients, and the planet? Inside and outside the car, Valeo uses the latest technology to provide solutions. "Many of the world’s megacities exceed World Health Organisation’s guideline levels for air quality by more than 5 times, representing a major risk to people’s health"
Dr Maria Neira, Director of the Department of Public Health, Social and Environmental Determinants of Health, at WHO. Research shows that one of the most polluted places to be is inside a car. Air quality inside a car is estimated to be between 4 and 6 times** more polluted than outside. With the average person spending 4.5 years of their life behind the wheel, we have a real responsibility to protect our clients and their passengers’ health. Exposure to these pollutants can lead to major health issues such as stroke, heart disease, lung cancer and respiratory infections. There are three main ways to protect passengers against these pollutants: cabin filters, cleaning and disinfecting the air conditioning system, and destroying any bacteria that does manage to get inside the car. The most direct way for pollutants to enter a car is through the ventilation system and inlets. To protect passengers, cabin filters have been installed in the majority of commercial vehicles since the 1980s and early 1990s. But not all cabin filters are created equal. While some filters can protect against the main pollutants, some passengers require greater protection. Many people now live in densely populated cities with high particle matter counts, while many others suffer from common airborne allergies. Valeo ClimFilter™ Comfort is a particle filter which protects occupants from dust, pollution and particles larger than 0.1µm (e.g. pollen, soot, tire wear dust). Valeo ClimFilter™ Protect is a combined filter with active carbon that retains particles and provides protection against harmful gases and unpleasant odours. 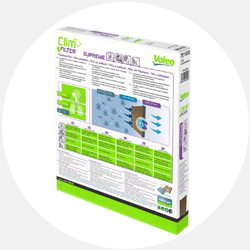 Valeo recommends ClimFilter™ Protect for heavy traffic areas. Valeo ClimFilter™ Supreme has a proven 92% efficiency against the strongest European allergens. The revolutionary technology that not only catches and neutralizes pollen from outside the vehicle, but also neutralizes the effect of allergens inside the car. A cabin filter change is recommended every year or 15,000 kms, whichever comes first, or more frequently in highly polluted areas. The humid and confined nature of air conditioning circuits can cause the development of micro-organisms like bacteria, viruses and fungus. This not only affects the air conditioning circuit, breathing in these micro-organisms can be harmful to passengers. To protect passengers, air conditioning systems need to be cleaned and disinfected regularly. 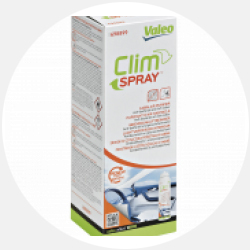 To help, Valeo has developed Valeo ClimPur™. It has a triple action effect: it not only cleans and disinfects, it also protects the air conditioning system against corrosion. Used in conjunction with Valeo ClimFill®, ClimPur™ perfectly completes an air conditioning service, ensuring comfort and safety for your customers. A strong fragrance is one way of dealing with a bad odour inside a car, but more often than not, bad odours are a sign of bacteria and fragrances will only mask the problem. As soon as the fragrance wears off the odour will return. The best way of dealing with bacterial odours inside a car is to directly target and destroy the source of the odour through the use of a bactericide and fungicide. Valeo ClimSpray™ is compliant with bactericide and fungicide norms, directly targeting and destroying the bacteria source, purifying the air while also diffusing a pleasant fragrance inside the car. It’s quick, efficient and practical to apply. 15 minutes of automatic operation is all that is required to purify a cabin. No tools required. ClimSpray™ can be used yearly as the third step of a full air quality cleaning process (after ClimFilter™ replacement and use of ClimPur™) or more frequently if required. Despite technological advances in recent years, cars and trucks remain some of the world’s biggest polluters because of carbon dioxide (C02) emissions and the continued demand for fuel. Quite simply, a reduction in fuel consumption and C02 emissions means cleaner air for everyone. Thankfully, we can take a large step toward this goal by recommending high quality Engine Filtration systems: fuel filters, oil filters and air filters. Fuel filters are key to engine performance and durability. 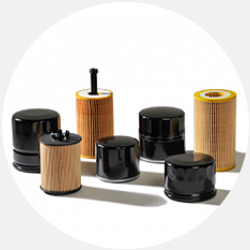 Whether it’s a petrol or diesel engine, high quality fuel filters prevent particles and water damaging the engine, improving performance and reducing the demand for fuel. Valeo’s technologically advanced fuel filters provide 20 microns (20µm) filtration precision, which is in line with new engine fuel systems and automakers’ recommendations. Valeo recommends changing fuel filters approximately every 30,000km. 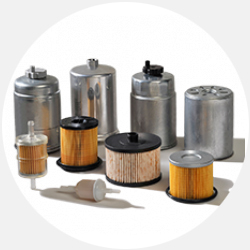 Oil filters extract damaging particles created in the lubrication flow which can damage and wear engines (such as metal particles, combustion particles and dust), while also helping reduce fuel consumption and C02 emissions, making the air safer for everyone. Valeo’s advanced oil filters are designed to block particles as small as 40 microns (40µm), which is approximately half the thickness of a human hair. Air filters guarantee air intake quality by preventing particles from the outside air entering the engine. They also reduce fuel consumption and C02 emissions. 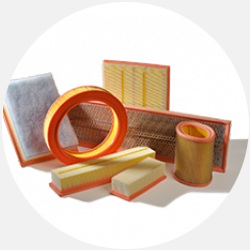 Valeo air filters are also designed to block particles as small as 40 microns (40µm). Valeo also provides a full communication package for its customers, based on an up-to-date product catalogue with direct access to all types of filters available for each car application. Whether it is by recommending an upgrade in cabin filters, disinfecting the air conditioning system, destroying harmful bacteria, or replacing engine filtration elements, you are in the perfect position to protect your customers from harmful pollution, inside and outside the car. Approximately 7 million people die every year from exposure to pollution. 32% of lung, brain and heart illnesses are due to pollution. 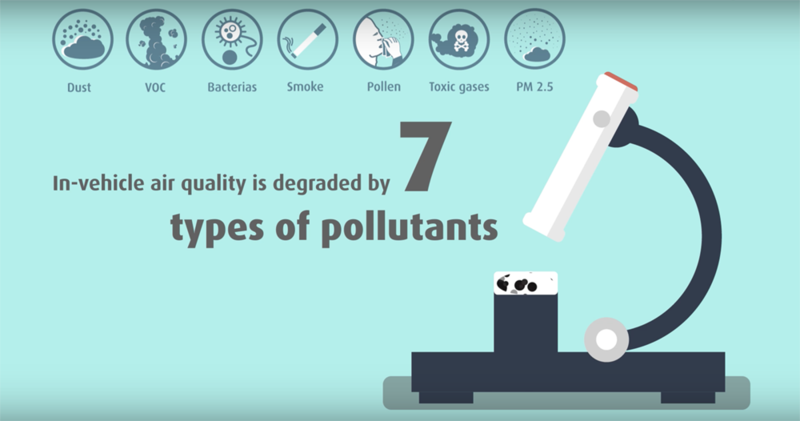 92% of the world’s population live in polluted areas. Air quality inside a car is estimated to be between 4 and 6 times more polluted than outside.